While the Corporate Social Responsibility (CSR) activities of small firms have been analysed to some extent, their engagement in international networks relating to CSR is less understood. Most of these networks primarily address the needs of multinational corporations. Surprisingly, however, the number of small firms participating in such institutions has substantially increased over recent years. But what is the reason for this new interest of SMEs in institutional forms of CSR? Based on a qualitative empirical study of German small firms’ participation in the most prominent CSR institution, the UN Global Compact, this book explores the drivers for small firms’ participation. The motivations are complex and do not follow the same hierarchical order associated with large business behaviour. Rather, reasons for institutional engagement suggest a heterarchical structure, where alignment is contingent upon factors such as the individual CSR perception, self-conception or social environment. 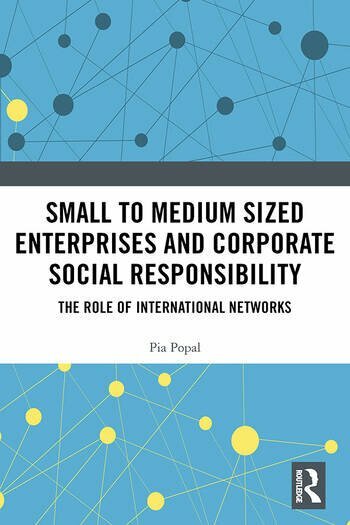 The book explains why small firms prefer to engage in sustainable development within institutionalized forms of CSR rather than act in isolation, and provides recommendations on how to support and thus increase SME participation in institutionalized forms of civic engagement. Dr. Pia Popal is currently a project officer for International Cooperation at Munich’s municipal Labor and Economics Department. Dr. Popal received her Ph.D. from the School of Management at the University of Eichstätt-Ingolstadt in Germany. Her research interests include corporate social responsibility, business ethics, social policy and international relations. She served as a reviewer for the Journal of Business Ethics (JBE) and the German International Cooperation (GIZ).